So, you know how to snap an image of your iPhone’s screen—but what if you want to take a screenshot of your Mac’s desktop? Well, there are actually five ways to snap a screenshot on your Mac, and they’re all just a few keystrokes away. Press and hold the SHIFT, COMMAND, and NUMBER 3 keys, and an image file of the screenshot will appear on your Mac’s desktop. Press and hold CONTROL, SHIFT, COMMAND, and the NUMBER 3 keys to snap a screenshot and copy it to your Mac’s clipboard, perfect for pasting the image (COMMAND + V) into another document. You can take a screenshot of just a portion of your Mac’s screen; press and hold Shift, Command, and the number 4 key, then click and drag. 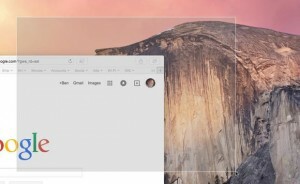 Want to capture an image of, say, just a single corner of your Mac’s desktop, rather than the entire screen? 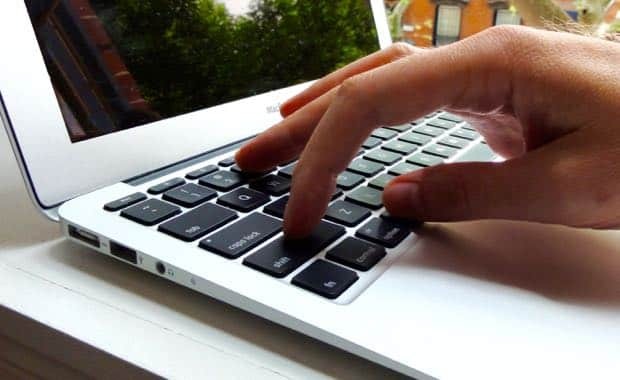 Press and hold the SHIFT, COMMAND, and NUMBER 4 keys; when you do, your mouse pointer will turn into a target. Click, hold and drag your mouse over the area you’d like to capture, then release the mouse button. Your screenshot will appear as an image file on your desktop. Same basic idea as the command above, except you’re copying a picture of the selected screen area to your Mac’s clipboard. 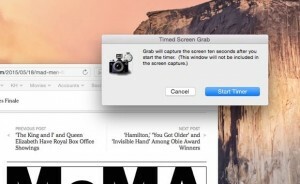 Press and hold CONTROL, SHIFT, COMMAND, and the NUMBER 4 keys, then paste the screenshot into a document by pressing COMMAND + V.
The Mac’s “Grab” app boasts a “timed screen” feature, which takes a screenshot ten seconds after you activate the timer. Hiding in your Mac’s Applications folder is a handy little tool called Grab, and it does a great job of snapping screenshots when you need a bit more flexibility than what’s available in the Mac’s “native” screenshot feature. For example, Grab will let you take a screenshot of just the active window, and it’ll also (optionally) include the mouse cursor in your screenshot. Best of all, Grab boasts a “timed screen” feature, which takes a screenshot ten seconds after you activate the timer. Yes, firing up Grab takes a bit more effort than simply using one of the Mac’s screenshot shortcuts, but sometimes the extra power is worth it—and indeed, I use Grab all the time to snap images for my Mac tips. Having a hard time pressing and holding all those keys? You can create new, easier keyboard shortcuts for taking screenshots from the Keyboard preferences pane. Click the Apple menu in the top-left corner of the screen, select System Preferences, click the Keyboard icon, then click the Keyboard Shortcuts tab. Note: This updated and expanded tip was first published in June 2013.